The Sharp Strategic Technology Alliance Resource (STAR) is a directory of third-party products and services that complement Sharp’s award-winning professional display products. See below for a list of companies categorized by the type of solution they offer. All information is provided by participating companies. A leading provider of commercial products and applied business solutions. Specializing in ultra-small form factor computing for both home and business applications, and digital signage from hardware to software and services. Digital Engine, All-in-One Touch solutions, Solution-in-a-Box. 22MILES has been a global supplier of leading digital signage solutions since 2007. Located in the heart of Silicon Valley, 22MILES commits to continuous innovation. Our award-winning and patented digital technology enables end users with powerful next-gen features and engaging user experience, that allow any novice users to create, update, and design like the pros. Adaptive Technologies Group is a world wide resource for the design, development,and manufacturing of mounting products for the digital signage market. Our specialty is rigging or suspending any size or configuration of video wall. We also provide wall frame solutions. A world leader in custom large format multi-touch software development for many vertical markets. Over 180 custom projects delivered in 40 countries including Fortune 500. Also provides off-the-shelf solutions such as a unique portfolio of 21 multi-player, multi-touch games for all age groups. Multi-touch software development for Windows 7, 8, and 10 devices. Custom and off-the-shelf. Anacore is a leading software development firm specializing in developing products and applications that help people communicate, share ideas, and make meaningful discoveries. We focus on interactive experiences that heighten engagement and expedite the problem-solving process, not complicate it. Anchor Audio, Inc. is the leading manufacturer of portable public address systems. All of our sound systems are manufactured in our factory located in Carlsbad, California. We offer a 6 year warranty on all sound systems, and a 2 year warranty on our intercoms and other products. Our motto is: IRS, Intelligibility, Reliability, Simplicity. We help keep your team informed and engaged, whether they are at work or on the go. Use the Appspace App for digital signs, enterprise video, mobile, and more. Simple tools to author, publish and manage content, and enterprise features for platform standards, security, and scale. Artbeats leads the industry with innovative, professional Royalty-Free Stock Footage. We’re constantly working to make things easier by providing high production value footage that's difficult or expensive to shoot. Find thousands of clips in a variety of subjects in resolutions up to 4K. Aerials: Washington DC, New York, Los Angeles, Hawaii, Texas & more. Multi-angle Driving Plates: Portland, OR, Redwood Highway, Pasadena, Santa Monica, Los Angeles, Residential, Rural, Urban, Industry and more. Effects: Fire, explosions, water, smoke, fireworks, film grains, burns, and more. Nature, Lifestyles, Animals, Establishments, Backgrounds, Reference and more. Atdec is a Sydney Australia based flat panel mounting solution provider. Atdec designs the vast majority of its products in our Sydney HQ. Products include Wall, Ceiling, Array, Menu Boards, POS, Tabletop, Multiple Display and Cart based solutions. Flat panel mounting solutions for Digital Signage and Commercial Markets. Sales and Rentals of high end Audio Visual solutions. Ultra Large Interactive Displays, Lifts, Kiosks and Touch tables. BalanceBox® by Thomas Regout International b.v.
BalanceBox®: Manual height adjustable wall mount for all Touchpanels. User-friendly, ergonomic, reliable and sustainable. Balt/Best-Rite is a Texas based manufacturer of audio visual furniture- including height adjustable flat panel mobile stands and mounts- and our diverse product line is designed with the education, commercial, healthcare and government markets in mind. Barco designs technology to enable bright outcomes around the world. Seeing beyond the image, we develop sight, sound, and sharing solutions to help you work together, share insights, and wow audiences. Our focus is on three core markets: Enterprise (from meeting and control rooms to corporate spaces), Healthcare (from the radiology department to the operating room), and Entertainment (from movie theaters to live events and attractions). Manufacture DVI video wall processors, matrix switchers, signal converters, and DVI cabling solutions to facilitate an all digital display infrastructure. Blackboard is the world's leading education technology company. Our mission is to reimagine education and make it more accessible, engaging and relevant to the modern day learner and the institutions that serve them. Our learning management system, Blackboard Learn™, and web conferencing solution, Blackboard Collaborate™, display beautifully on the AQUOS BOARD™. Blue Pony exists to provide custom tailored visual media design services. We will listen to your objective and build a creative solution that fits your budget, deadline, and goals. Our solutions consist of creative services like graphic design, illustration, motion design, 3D, and video production from our talented team of designers. Our design services meet up with our flexibility and expertise in technology. From signage platforms, video walls, projection mapping, large touch surfaces and screen, mobile applications and even game platforms like Kinect, we let creative lead and merge the technology into our solutions. We are the full solution with creative care... it's turnkey PLUS! Bluescape is a visual collaborative workspace designed to elevate your work. It removes barriers to great work and empowers enterprises to visualize and share real-time ideas. Because it's cloud-based, anyone can access their shared workspace on any device, anywhere in the world. Come together, make decisions, and drive better outcomes. Bluewater Technologies is a 28 year old, woman owned company. Divisional in AV Integration, Live Events, Digital Media and Fixture/Kiosk/Display Enclosures. Headquartered in Southfield, MI. with offices in Grand Rapids, MI., Indianapolis, IN., Orlando and Washington DC. National and Global presence and growing fast. Projection, Flat screens, Control Systems, Digital Signage, Audio, Video Conferencing, AV racks and infrastructure. Design, Installation, Programming and Service. Digital Media content and management. Boeckeler Instruments provides presenters with powerful annotation tools by adding a Pointmaker annotation system to your AV installation of the AQUOS BOARD™ or one of Sharp’s Professional monitors. Draw and point on video content for greater comprehension, collaboration and meeting efficiency – whether everyone is in the same room or sharing images over a video conference. Boyd Sign Systems offers a wide range of catalog items, as well as custom designed digital signage enclosures and kiosks. We offer some of the most cutting edge, functional, aesthetically pleasing, non-cookie cutter enclosures in the world today. We offer clean, modern, cost effective solutions as well as custom designed thematic designs put together specifically for your property. We fabricate custom enclosures and kiosks for both indoor and outdoor use to fit any Sharp product. BrightSign LLC, the global market leader in digital signage media players, is headquartered in Los Gatos, California, with offices in Europe and Asia. BrightSign manufactures media players, and provides free software and networking solutions for the commercial digital signage market worldwide, serving all vertical segments of the digital signage marketplace. From entry-level BrightSign LS players to BrightSign 4K players offering state-of-the-art technology and unsurpassed performance, BrightSign’s products are known for their signature reliability, affordability, ease-of-use, and market-leading technology. For more information, visit www.brightsign.biz. Named the leading digital signage software platform in the industry by DailyDOOH and Frost & Sullivan, BroadSign's cloud based solution takes an automated approach to content management. Powering over 120,000 displays globally, media owners can easily scale their networks and reliably play dynamic content with intuitive proof of performance reporting. C2G (formerly Cables To Go) is an industry leader in high performance cabling and connectivity solutions. The company provides end-to-end connectivity solutions for the A/V, PC and enterprise markets with both wired and wireless connectivity technology. With 6,000+ connectivity products and customized solutions, C2G can meet any customer needs. Pioneering the design and integration of exceptional TV lift furniture. We believe that TV lift cabinets are more than a place to store your TV – they can also be focal points, beautiful, hand crafted and high end pieces of furniture that make a statement about your personal sense of style. Candela Display Systems LLC is a manufacturer of large format LCD touchscreen related products, video wall systems, kiosks, and associated components for the digital signage market. Located in Olympia, Washington, Candela Display Systems LLC designs, sources, and assembles all of their products within the USA. With over 33 years combined experience, Candela Display Systems is committed to innovative designs, quality manufacturing, and excellent customer service. Compatible with: PNU423, PNU473, PNU553, PNY325, PNY425, PNY475, PNY555, PNE603, PNE703, PNR603, PNR703, PNR903, PNV601 and PNV602. Canvys, a division of Richardson Electronics, Ltd.
Canvys is a custom display solutions provider for unique applications. Touch screens, protective shields, custom colors and branding, custom mounts, enclosures and ruggedization. Touch or protective glass for Sharp's Large-Format Professional LED Monitors. Since 1991 Capital Networks has worked within the digital media industry - specially focused on content management software for advanced digital signage networks. Capital Networks has repeatedly demonstrated a unique ability to successfully deploy a wide variety of projects and bring forward new, innovations for our customers. Manufacturers of carrying and shipping cases as well as custom soft sided cases. Chief is a division of Milestone AV Technologies. With over 30 years of proven product and service excellence, hundreds of product awards and patented designs, we are globally recognized as an AV industry leader. We design state-of-the-art mount and rack solutions that complement the technology they support. We are committed to delivering high-quality products that are easy to install and maintain. Circle Technology provides an access point from the hosting PC without any network connections, creating a secure wireless presentation. The Circle Host Software allows for direct screen sharing from the PC to the Circle Viewer App on a Circle Display or when you “*BYOD,” placing the presentation into your hands. Windows 7 or 8 Professional OS. *iPhone, iPad, and iPod touch with iOS 7.0 or later. Click here to view the product lineup. The Online Services Division of Citrix Systems, Inc. offers services that allow anyone to work from anywhere using our remote-connectivity and online collaboration solutions to save time, get more done and connect to others around the world. Comark is a leading provider of highly ruggedized kiosk and digital signage solutions. We are a full service kiosk provider offering standard and custom kiosk enclosures. ComQi is a global leader providing a powerful multi-channel message management platform, controlling a network’s content and infrastructure, closing the loop between digital signage, mobile, web and social media. Created through the merger of MinicomDS and EnQii, ComQi has over 12 years of expertise, 400,000+ installations worldwide, and numerous awards. CIC creates development software tools for passive and touch-interactive multi-media displays and video walls. CIC also provides content development and management services, especially for 4K and beyond. Unique capabilities, such as its unique infinitely zoomable "iZoom" technology can add a huge "wow factor" to any digital signage project. enVision: digital signage authoring tool suite that makes large volumes of digital multimedia content easily and quickly accessible. It creates immersive rich media presentations and interactive information portals for standalone and Internet web access. enLighten: fast, intuitive software-based viewer/player for digital multimedia. It is designed to handle any volume of digital media content. iZoom: a novel way to wow people by allowing them to infinitely zoom into a mosaic of photos or videos. 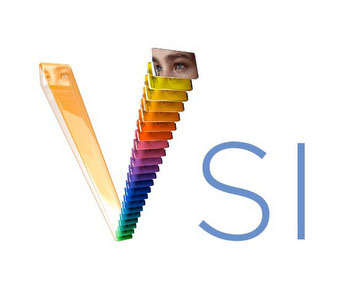 enVision DSS: a web-based content management and scheduling software for managing large scale digital signage systems. Spinetix is a complete Simple & Power solution for Digital Signage, Video walls and Interactive projects. CTP is a supplemental educational publisher for grades PreK–8. CTP is a recognized leader in the educational industry and offers an assortment of learning resources for parents, teachers, and children in reading, writing, math, science, and social studies as well as learning décor. Sharp Electronics PN-L802B 80", PN-L703 70" and PN-L603 60" LED interactive display systems are officially qualified by Microsoft for use with Crestron RL and the Polycom CX8000 group collaboration solutions. For the original communication announcing the 80" certification, click here. Crimson AV manufactures a comprehensive assortment of professional grade display mounting solutions for nearly any application, structure or display. Strong, safe, and secure, Crimson mounts feature uncompromising design and build quality, a 10-year warranty, 100% Satisfaction Guarantee and are backed by unparalleled customer service and technical support. Learn more by visiting www.crimsonav.com or by calling 866-MOUNT-TV. Mount solutions for displays including flat, tilt, articulating, pivoting, ceiling, multi-screen, video walls, locking, post installation leveling, carts, stands, ultra-flat as well as a full line of accessories. The global leader in digital motion and video enhancement software solutions revolutionizing simple and seamless creation, enrichment, and distribution of high quality video content. Dartfish provides a new way of teaching & learning for business with Cloud storage and delivery of your video content with keywords. Upload, Annotate, and Share content. Improve presentations, meetings, negotiation, conflict resolution, and evaluate group processes. Industries served include photography and videography. Click the above models for additional detail. Protect your digital signage investment with Dataprobe network reliability. Minimize costly downtime with automatic and managed reboot. One site visit saved recoups your investment. Our cloud managed PDUs make it easy to manage large projects with a single sign on. We offer customized power and GPIO solutions to help you manage your network with minimum downtime. DisplayNote makes meetings better by creating collaboration software that's simple, smart and secure. One solution is Montage, a wireless presentation system that enables multiple meeting attendees to wirelessly share their screen from any device on to the meeting room display. DT Research is a leading manufacturer of digital signage appliances and multi-screen appliances that are built and pre-configured with WebDT’s web-based content management system. The WebDT is ideal for multi-screen applications such as video ribbons and walls and digital menu boards. ELMO, a leader in visual technology for over 90 years, is shaping the future of visual communications with our cutting-edge originality. Among these innovations are presentation tools for dynamic classroom or corporate presentations. ELMO’s groundbreaking document cameras benefit training, seminars, and teaching by enabling users to incorporate high-resolution visuals into their interactive presentations. Enplug is a global digital signage software company providing the most advanced and easy-to-use display software on the market. Its powerful media player connects to any HDTV to display engaging, live content from a cloud-hosted App Market platform. The user-friendly Web Dashboard allows multiple users to remotely manage content on any number of screens using web, iOS, or Android. Ergotron, Inc. is a global manufacturer of leading digital display mounting, furniture, and mobility products that have been improving the human interface with digital displays for over 30 years. 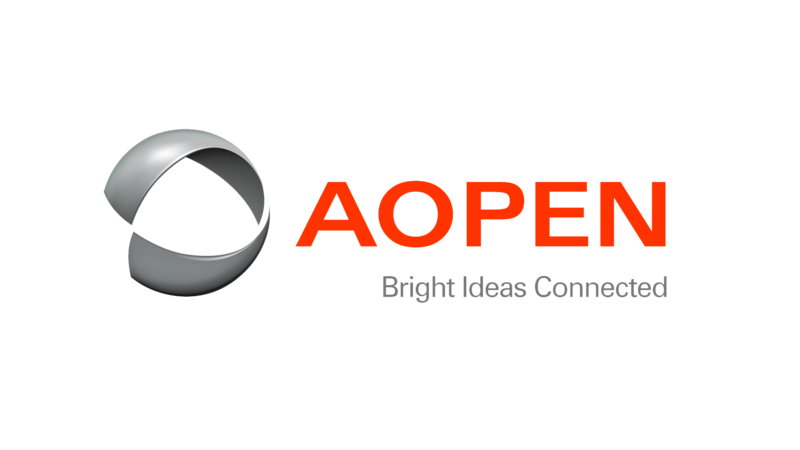 This history of innovation and passion for differentiation is evidenced in over 70 patents and a growing portfolio of award winning brands—OmniMount, StyleView, WorkFit and Neo-Flex—for computer monitors, notebooks, tablets, flat panel displays and TVs. Electronic Systems Protection, Inc., manufactures power filters that provide the highest level of protection against surges, spikes and electrical noise. We have been the overwhelming choice of Office Equipment Manufacturers for over 25 years. SurgeX is the number one surge elimination product for the Residential and Pro AV space including digital signage and video wall applications. The new SurgeX products are compatible with flat screen televisions, residential and commercial video displays, digital signage and video display panels and video walls. Extron Electronics, headquartered in Anaheim, California, is a leading manufacturer of professional A/V system products including computer-video interfaces, switchers, matrix switchers, distribution amplifiers, video scalers, scan converters, signal processing devices, Ethernet control interfaces, and high resolution cables. Our corporate philosophy is founded on three concepts: Service, Support, and Solutions - S3. By following this standard, Extron has become one of the leading providers of products and training to the professional A/V industry. Exxact specializes in HPC deployments by developing and manufacturing innovatively designed and expertly engineered high performance computing platforms that include workstations, servers, clusters, storage, and personal supercomputing solutions. Each of our solutions is fully customizable and precisely built to provide groundbreaking performance, flawless design, and unrivaled quality for total customer satisfaction and product assurance. Exxact is also a distributor for Professional workstation graphics from AMD, Nvidia, and Matrox Graphics. EyePower, Inc is a software development company focusing mainly in educational products and solutions. We have our core expertise in video and imaging technology that has been employed in creating many of our original and novel language learning solutions on PC/Mac and mobile platforms. Compatible with all of Sharp's interactive professional displays. Flight Time TV is a provider of real-time flight data information for standalone flight boards, or integrated into an existing digital signage system. Flight Time TV can also be broadcast over the television system for in-room viewing. Flixio Studios provides premium, custom digital content for Digital Signage. FlowVella is an interactive presentation platform with apps to create interactive experiences for the Mac and iPad. The platform allows for the deployment of secure interactive multimedia presentations on both Macs and iPads. These solutions are ideal for museums, education, retail, conference room, entertainment and training. FlowVella also provides optional creative services for design and consultation of interactive presentations. Interactive presentation authoring tool for Mac. Allows the design and development of passive and touch-interactive multimedia displays and video walls with easy to use and intuitive software. FlowVella is consumer grade ease of use with enterprise power and security. Interactive presentation authoring tool for iPad. Allows the design and development of passive and touch-interactive multimedia displays and video walls with easy to use and intuitive software. FlowVella is consumer grade ease of use with enterprise power and security. Secure iPad app paired with secure enclosure for public spaces like museums, retail, travel, entertainment and more. Four Winds Interactive (FWi) provides a software platform for developing, deploying and managing digital communications networks on digital signs, interactive kiosks, web and mobile devices. FWi’s solution lets users create dynamic messages that inform, educate and motivate their audiences through a single solution, supporting all their digital communications needs. Developer and distributor of Globall Coach; complete coaching software management system for professional clubs and academic establishments. Collaborate detailed strategy planning with cutting edge technologies to develop the perfect match winning formula using an exclusive suite of animation and session building tools. Plan your movements and prepare your team to embrace nothing other than victories. With dynamic '10 finger' touch screen capabilities and sizes ranging from 60" to 80", the Sharp AQUOS BOARD™ Panels are the optimum way to present match-winning tactics and strategies across a boardroom or team hub. Here2There Software provides an easy to use and manage digital wayfinding solution that can be used in kiosk, web and mobile interfaces. Hiperwall software makes it easy and affordable to build video wall and distributed visualization systems from ordinary displays, computers and network equipment, providing a great solution for command & control, digital signage, education and entertainment applications. We develop technologies that empower teachers to better engage students. The Solo 8 document camera is an educational revolution powered by a USB 3.0 cord. Experience 8.0 MegaPixel resolution and 30 frames per second HD video that never lags. All in a document camera that costs half of other brands. HoverCam document cameras are used in over 150,000 classrooms. HRS Control provides a low barrier to entry solution to the Professional AV control system market. We make the UDC Software with ease of use in mind while enabling advanced and powerful features. From simple to complex, live event to executive boardrooms, we can meet your AV control systems needs. HyperSound is an innovative directional audio system that provides a uniquely effective solution for creating audio zones. By beaming sound with the same precision as a flashlight, sound can be focused directly at the listening audience, and nowhere else. Because audio can be tightly directed to a specific area it gives individuals in that area the benefit of audio without disturbing others. Hypersound is a great addition to Sharp's professional LCD monitor lineup. Click here to view additional product details. IBASE is a reputable manufacturer and supplier of single board computers, motherboards and systems in the Industrial PC market. We have over 25 different models of digital signage players using embedded technology and built for 24/7 operation. Our player use industry standard OSs and work well with leading edge solution CMS providers. SI-60E- High performance player with 12 HDMI (FHD) outputs. SI-626 - High performance player with 6 HDMI independent outputs. SI-324 - High performance player with 4 HDMI independent outputs. SI-614 - High performance player with 4 HDMI independent outputs, (MXM Graphic expansion NVIDA or AMD Radeon). SI-61S - High performance video wall player with PCI-E Expansion, (with 1x PCI-E(x16) or 2 x PCI-E (x8) Slots). SE-92- Outdoor Fanless Player with wide operating temperatures. SE-602- In-Vehicle Player with wide operating temperatures. Industry Weapon’s Platform-as-a-Service application, CommandCenterHD allows users to easily manage and deploy a variety of multimedia and interactive content to digital signs, video walls, interactive kiosks and more. Their customer base spans all verticals and their dedication to customer service includes, unlimited users, unlimited storage along with 24/7 free training and support. Their dedication to security and availability is proven by holding regular SOC Type II audits while maintaining PCI compliancy. Intuiface is the world's premier platform for creating, deploying, measuring and managing deeply interactive digital experiences without writing code. Over 1500 companies across 90+ countries connect people to place using interactive options such as touch, RFID/NFC, beacons, WebAPIs, IoT, and more. From digital signage to self-service kiosks and more. JELCO, INC. provides original, innovative mobile solutions to display and protect flat screens, projectors, laptops, whiteboards and other AV equipment. Products include EZ-LIFT®, RotoLift™, RotoLift™ Dual, and RotoLift Mini Kiosk Flat Screen Lift Cases, Carry Cases, Roller Bags, Shipping Cases, and Custom Cases. Made in the USA, and TAA Compliant. We provide technical equipment, software, content management, solutions and professional services to contractors at construction project sites. Our team of experts have decades of experience in the architectural, engineering and construction industries. We connect printers and scanners to LCD and touch technology using mobile or portable and wireless technology. Kaltura’s mission is to power any video experience. The company provides the world’s leading video technology, including more than a dozen video-based Software-as-a-Service offerings, as well as an open and flexible Platform-as-a-Service for developing new video experiences based on hundreds of APIs for video ingestion, transcoding, metadata management, distribution, publishing, engagement, monetization, and analytics. Kaltura is committed to its core values of openness, flexibility, and collaboration, and is the initiator and backer of the world's leading open-source video-management project which is home for more than 100,000 community members. For more information visit: www.kaltura.com, www.kaltura.org or www.html5video.org. Key Digital® is at the forefront of the video industry for digital video technology. The company specializes in HDMI based products and offers complete A/V solutions! For over ten years Keywest Technology has been helping businesses implement digital signage successfully by creating positive relations and impact through dynamic media. Successful digital signage is a matter of putting together the right pieces in the right way. The pieces include expert know-how in creative content, software, IT infrastructure and supporting hardware. Solving your company’s digital signage puzzle with professionalism at every level is our specialty. Building long-lasting client relationships is our legacy. Kramer Electronics provides elegant yet simple cost-effective solutions for virtually every audio and video signal management requirement. From presentation, training and classrooms to digital signage applications. From residential use to the demanding requirements of commercial applications, Kramer provides the “connections” necessary to get a high quality signal to the display. Lenovo is a $46 Billion personal technology company and currently the #1 PC company in the world, serving customers in more than 160 countries. Dedicated to exceptionally engineered PCs, servers, and mobile internet devices, Lenovo's business is built on product innovation, a highly-efficient global supply chain, and strong strategic execution. Matrox Graphics is a leading manufacturer of graphics solutions for professional markets. In-house design expertise, top-to-bottom manufacturing, and dedicated customer support make Matrox solutions the premier choice in industries that require stable, high-reliability products. Click on the product categories above for additional information on Matrox. Also, be sure to check out the Avio F125 Dual-DVI Fiber-Optic KVM Extender, which has worked flawlessly with Sharp’s PN-K321 4K Monitor.Click here to view a press release on the product collaboration. mCart PaaS makes the world shop-able, allowing shoppers to directly buy from context. Running over 200 APIs, innovative user-interfaces & back/front-office dashboards, it allows customers to establish branded Omnichannel e-commerce, marketplaces & shop-able content publishing platforms to monetize any type of asset such as content, channels, users, etc, leveraging blockchain & AI. MOSAIQQ is a software company that challenges the existing computing paradigm by introducing any-touch any-user core collaboration software, where users can interact and participate in the same or different activities simultaneously. It is our mission to build intuitive software that enables the computer to be a true interactive collaboration tool. In 2011, Epic Eye débuted, earning an international innovation award for Moving Murals™, a dynamic art solution with a gallery of 500+ scenes captured in 4K – 8K resolution, displayed utilizing a viewing platform of trailblazing technologies. Subsequent awards have followed. With the release of its uncompressed 4K/UHD player, Epic Eye continues to push the envelope of visual possibilities. Epic Eye is headquartered near Chicago, IL, with operations in Colorado. Navori Digital Signage is an enterprise committed to providing the most reliable, user friendly content management software application available. With over 16 years of experience, 5 offices around the globe, partners in over 60 countries, and deployments in over 100 countries, Navori continues to be a leader in our industry. QL Server: Hybrid software application that allows users to seamlessly manage Players running on Windows or Android. Full multi-tenant, Multi-user capabilities. Is delivered with a 100% web based, easy to use, manager application. QL Player: Proprietary player precise to 1/30th of a second. GPU accelerated, supports all popular media formats. QL StiX-2400: Plug and Play android media payer. Save up to 80% compared to a traditional Media Player. We believe digital signage was meant to be easy to use. Because of this belief, NoviSign has over 20,000 active screens covering 5 continents. Some NoviSign clients include Disney, Ikea, Dole, Home Depot, NASA, Nokia, Papa John's Pizza and more! Using NoviSigns comprehensive web-based online studio, you can create beautiful digital signage. With over 25+ drag and drop widgets to choose from you can quickly design and manage engaging content that features live social media streams, data-driven polls, fun interactive games and media-rich zones that feature videos, RSS feeds, HD images, scrolling text, weather and more! As a leading manufacturer of purpose-built computers, Now Micro specializes in small form factor PC hardware for intelligent systems solutions, including digital signage, point-of-sale (POS), and interactive kiosks in the retail, entertainment, and hospitality industries. Unlike traditional OEM’s, Now Micro offers system design services to meet customers’ unique requirements. Now Micro not only offers its own brand of digital media players, we also partner with some of the industry's leading providers to provide a variety of dynamic information using audio, video, and still or moving images. Click here to view the available options. OmniMount, an Ergotron, Inc. brand, is a global leader in TV and digital display CE mounts, accessories, and furniture for the connected home, bringing innovative solution to market with its latest interactive mounts. Complete portfolio of adjustable, interactive & stationary mounts for Small-Large displays. Omnivex’s powerful digital communications platforms enable organizations to easily collect, process, and deliver targeted real-time information across their entire business on any screen. It connects people with real-time visual information where and when they need it, empowering them to make better and more informed decisions. Omnivex Moxie allows organizations to drive business results, improve operational performance, and empower and engage people. 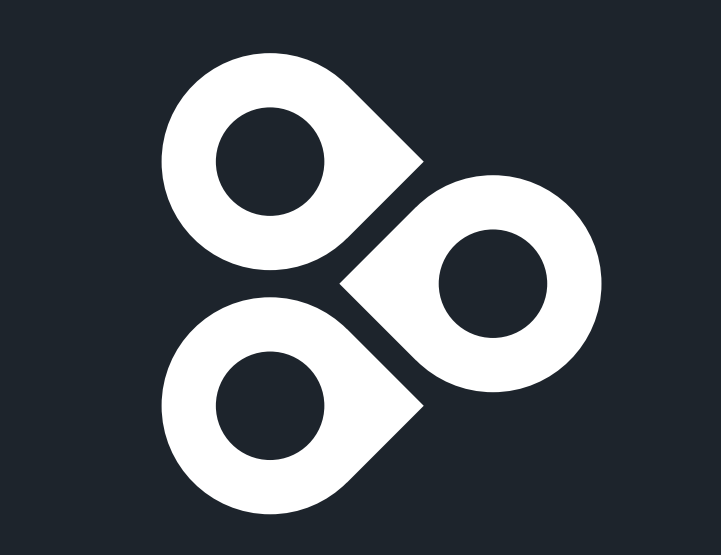 Omnivex Moxie is available in Cloud, Commercial, and Enterprise versions. Whether you are a small to medium sized organization with a local installation or a larger organization with multiple locations looking to leverage your data across a large network of devices, Omnivex has a solution for you. Omnivex Moxie enables organizations to collect, distribute and present the right information to the right people at the right time. Omnivex Ink enables you to realize your Return on Investment (ROI) in data and digital signage by extending real-time information to everyone’s fingertips. With Omnivex Ink in three easy steps you can share personalized, real-time information on any device with employees and customers – no coding required. Whether it is business app for mobile phones or real-time information on digital screens Omnivex Ink provides you with a platform to manage digital communications across your organization. OnSign TV is a professional digital signage platform known for its RELIABILITY, super EASY INTERFACE and POWERFUL FEATURES. With screens installed in more than 100 countries, OnSign TV can help you manage any number of screens. Holding several unique features, OnSign TV stands out for its real-time monitoring making it easy to track, view and remote control any screen directly from the web management console. Pacific Learning is a supplemental educational publisher for grades PreK–8. PL is a recognized leader in the educational industry, and offers an assortment of learning resources for parents, teachers, and schools in reading, writing, bilingual, and assessment. Paragon Tempered Glass, LLC, is a specialty fabricator offering custom glass solutions to numerous markets from two U.S.-based facilities. Products include both flat and bent tempered glass, as well as insulated glass, to meet demanding expectations of strength, thermal and aesthetic quality. Glass fabrication built to customer specs with touchscreen, anti-glare and anti-reflective glass. Piksel is a global company specializing in OTT, OVP video monetization solutions and Digital Signage. We offer world class professional services and support some of the worlds leading media brands as well as large faith, sports and enterprise clients. Headquarted in New York City, Piksel offices can be found throughout Europe and the Americas. OVP solutions via the Piksel Video Platform, including: Digital Enterprise, Digital Stadium and Digital Church. Ping HD provides affordable, scalable, flexible and innovative digital signage solutions. EngagePHD™ is our cloud-based CMS that allows you to manage content from any location. It’s easy to use and, with a lower cost of ownership, it’s the perfect, scalable Digital Signage solution and supported on Sharp Android based displays. EngagePHD™ is used for; Digital Menu Boards(with PoS Integration), Room Signage (with Event Management Integration and ICS support), FIDS/Transit, Wayfinding, Ad Screen Networks and Interactive Touch Screens. PNY® Technologies and NVIDIA® Quadro® and NVIDIA NVS™ professional graphics boards can power your mission critical Conference Room, Digital Signage, Video Wall, or 4K Projection projects. Discover why industry-leading Pro-AV clients rely on PNY’s unparalleled service and support including: 3-year warranty, toll-free technical support and dedicated field engineers. Based in Airdrie, Alberta, JORO manufactures the Pro-LIFT brand of height-adjustable ADA & accessible mobile and wall-mounted solutions for Flat Panel Displays and Interactive Whiteboards. Pro-LIFT solutions are universal, easy to use and quick and simple to install. Created in 2006, Quividi is the industry standard for Audience and Attention Analytics in DOOH & Digital Signage with 800 million people analyzed every month in 50+ countries, working with the largest DOOH companies and leading brands and retailers. 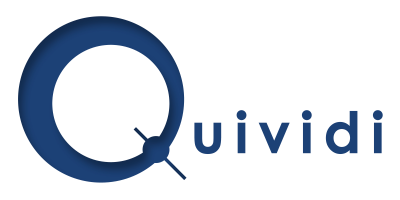 Quividi’s computer-vision technology measures MRC-compliant viewability, views, and fully respects privacy. VidiReport: The embedded real-time analytics software analyzing video input from each video sensor. VidiCenter: The cloud data management platform provided to all users of the Quividi solution. Qwizdom is an award-winning developer of interactive learning solutions that enhance presentation deliverability and user engagement. Our products – software, hardware, online platform – support an interactive and engaging environment that can be quickly implemented to increase participation, provide immediate data feedback, and, most importantly, accelerate and improve comprehension and learning. Revel Digital provides the tools necessary to create/manage/deploy large scale digital networks. By leveraging cutting-edge technologies, the Revel Digital platform supports interactivity, intelligent scheduling, audience metrics, remote triggering, display synchronization, beacons (real and virtual), RFID, developer APIs, and other enterprise level features. Revel Digital: Retail with a Sense of Wonder! RGB Spectrum designs and manufactures cutting-edge videographic products for audio-visual, industrial, medical, and military applications. The company offer solutions for the display, recording and transmission of computer and video signals. Products include video walls, multiviewers, codecs, digital switchers, scalers and digital recorders. Free, Open Source Content Management for Digital Signage. Manage an unlimited number of displays anywhere in the world. rp Visual Solutions consults, designs, and fabricates Innovative Visual Display & Mounting Solutions. We offer Screens, Multi-touch Solutions, Installation Services, and Mounts for projectors, flat panels, cubes, and MicroTiles. Our Applied Services Group will assist integrators in the installation of these products. We offer free, no-obligation design and quotes. Saddle Ranch Digital (SRD) is a digital out-of-home media company specializing in custom content and deployment solutions for screen media. With an in-house team of creative and technology experts, SRD can create and manage total digital campaigns including live, holographic and interactive integration. For more than 25 years, multiple award-winning Salamander Designs has been designing and manufacturing premium quality furniture for residential and commercial audio/video integration that complements any space. Committed to the promise that every customer deserves furniture that is shaped by their needs, Salamander’s expert design team and build-to-order formula serve a wide range of markets equally, including the advanced audiophile, luxury residential and commercial customers. Scala has a passion for creating intelligent digital signage solutions that move employees, consumers, and products. Driving more than 500,000 screens worldwide, our solutions increase sales, improve brand loyalty, optimize the customer experience, and reinforce business objectives. Scala is headquartered near Philadelphia, Pa., with multiple subsidiaries across Europe and Asia, and over 500 partners in more than 90 countries. Complete Digital Signage Software Suite with Scala Content Manager, Designer and over 10 playback license types. Additionally we offer Advanced Analytics targeted to the retail and QSR market. Scala software works on all Sharp displays with both standard and touchscreen interactive content. Sigmatonic specializes in customized industrial business class computer systems used in the Digital Signage/business environment. 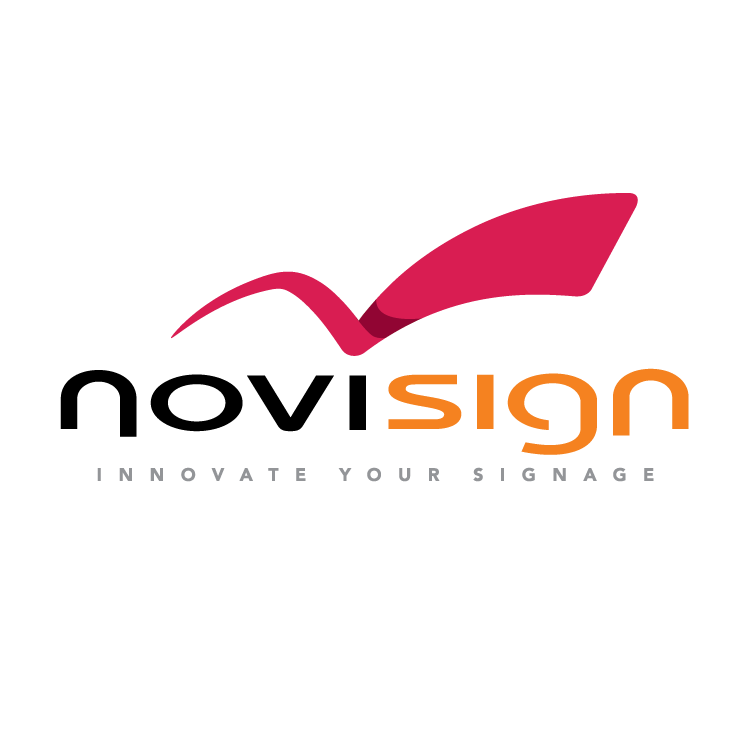 Sigmatonic can assist with your digital signage requirements with embedded and small form factor computer systems that can operate 24/7. We also provide many computer hardware parts replacements such as cables, hard drives, memory, monitors, and offer repair services. Compatible with Sharp's full line of Large-Format Professional LCD Monitors. Signet provides value-added design and integration services for custom LCD enhancements, such as: touch-screen overlay, LCD performance enhancements (optical bonding, high brightness), adding media PC/player and custom enclosures for outdoor applications. As a leading manufacturer of A/V and digital signage connectivity products, SIIG brings a wide variety of extenders, splitters, converters, switchers, mounts, cables and accessories, serving the needs of many vertical markets including retail, transportation, hospitality, corporate and more. Silex offers value added product solutions allowing users to connect and share devices on a wired or wireless network such as Sharp AQUOS BOARD™ interactive displays, and multifunction printers and scanners. Silex wireless connectivity offers the same functions that are available with a direct cable connection for video, audio, and USB. SmarterSign is a premier provider of digital signage software solutions. SmarterSign has helped companies all over the world quickly take advantage of the opportunities of digital signage. SmarterSign's award winning SmarterSign Manager software provides clients with tools that are easy to learn, easy to deploy and easy to use. We develop collaboration tools for classrooms and meeting rooms. Our latest product, Smoothboard Air provides an interaction platform for mobile devices such as iPads, Android tablets and laptops. With Smoothboard Air, both the presenter at the screen and the participants with mobile devices may collaborate simultaneously. Splashtop Inc. delivers the best-in-class cross-screen productivity and collaboration experience, bridging smartphones, tablets, computers, TVs, and clouds. Splashtop Classroom allows presenters to share their Sharp AQUOS BOARD™ with their audience by allowing them to view and interact directly from their mobile device, Chromebook, Mac or PC! Splashtop Mirroring 360 allows the audience to mirror their Chromebook, iPad or Mac to a presenters’ Sharp AQUOS BOARD™ without moving from their seat. Splashtop Classroom: Share Anything Instantly. Capture Ideas Easily. Engage Students Effortlessly. Splashtop Mirroring360: Mirror your IPAD, IPHONE, Chromebook and Mac to a Sharp AQUOS BOARD™. Visit http://education.splashtop.com for more information. Starfish is a hybrid marketing firm specializing in digital communications. Our experience, expertise, and non-traditional perspective allow us to provide all of the services that traditional advertising agencies, branding agencies, and marketing strategy consultants provide. All under one roof. And all with the same management, with no silos or hand-offs. Creative development (concept, writing and design) of branded digital communications. Starmont is a provider of both self and fully managed digital signage and kiosk networks. Our hardware and software systems have been engineered to provide enterprise class reliability and security. Service contracts can cover an array of options, from budget conscious to completely hands-off networks. Digital signage software, hardware, engineering, installation and support including dynamic content feeds (custom/client specific and off the shelf). Graphic design and video development and creation. Custom interactive kiosks. T1V is a multi-touch, multiuser software company that develops solutions for collaboration, retail, events and exhibits, and more. Our interactive software platforms works across interactive tables, interactive walls, digital signage, and mobile apps, with a deep layer of analytics and reporting tools on user engagement. Technovare is a leader in the development, production, and support of high performance Media Players designed specifically for Commercial Applications. These applications include Digital Signage, Video Walls, Digital Menu Boards, Conference Rooms and IPTV. High Performance, small form factor Media Players and PCs. Tely is dedicated to bringing simple high-definition video collaboration to more huddle spaces. Our cloud-optimized endpoints enable creative teams to easily share content and interact more effectively with each other, and with their customers, partners, suppliers, through visual collaboration. The CSI Group is a full-service creative agency that provides design, video, and digital technology solutions. Digital Signage Agency, powered by DBSI, creates engaging retail banking experience and impactful visual communications for clients across the U.S. Our full-service agency does it all, from strategy and award-winning dynamic and interactive content, to installation maintenance and support. Tidebreak helps teams truly collaborate together using Sharp displays. Participants can wirelessly connect using laptops, tablets or smartphones; send digital files or websites to a “public” computer desktop; and then work directly on the shared content together. Tidebreak products automatically archive notes from Sharp AQUOS Boards or can be used with non-interactive displays. Tightrope Media Systems is a leading manufacturer of digital signage systems, video servers and channel automation. Carousel is digital signage for organizations that want to easily communicate with their target audience. With a 100% web-centric interface, Carousel allows your staff to create beautiful, effective content with little or no training! As industry experts, TouchSystems is dedicated to delivering the most advanced touch technologies and continuously researching and developing the best products in the business. We offer personalized service and customized solutions and can integrate products from our touch technology partners for your unique design. TSItouch is an authorized integrator for leading monitor and touch screen component manufacturers, we combine commercial grade monitors with touch screen components to produce touch screen and protective glass solutions. Single point to 32 multipoint, we offer a size and technology solution for almost any requirement. Touch Screens, Custom Bezels and Protective Overlays for Sharp's Large-Format Professional LCD Monitor lineup. UC Workspace specializes in custom solutions and commercial products in the collaboration workspace. The Quicklaunch application is a simple and secure meeting room interface to transform an Interactive Display with a PC into a one click meeting space solution utilizing over 30+ conferencing providers (SFB, Zoom, WebEx, Hangouts and more). Userful Corporation is a leading infrastructure software company that makes it simple and affordable for organizations to drive and centrally manage intelligent displays. Userful supports centrally powered displays from desktops to touch-screens to video walls and beyond with exceptional performance, unique flexibility and the lowest cost on the market. Userful Network Video Wall - turns a standard PC (Core i7) into a video wall / Digital Signage server which can sit anywhere on the network and deliver a variety of content onto up to 25 total displays. U-Touch is one of the world's leading specialists in touch screen technology. We are involved in all aspects of touch screen design, development, manufacture and delivery from early consultation. As well as, bespoke drawings, purpose built manufacture and systems integration, right through to technical service and support many years after projects have been completed. VSI offers a best in class cloud based software as a service platform to produce compelling and engaging video content that can run on any display, any resolution, in any format. Using our web based platform with access to over a quarter of billion videos, images and audio tracks and thousands of designer templates, businesses large and small can create high definition, full motion video ads and other content faster, better and at a fraction of the cost of current options available in the market today. VS Networks is a leading provider of Digital Signage Solutions. We seamlessly integrate hardware and software to make delivering impactful digital messaging simple. We provide the channel with the entire spectrum of Interactive, Passive, CMS, Hardware, and Content creation services. Today VS supports several large Brands as well as supports the reseller channel with digital signage solutions. WHOOSH! 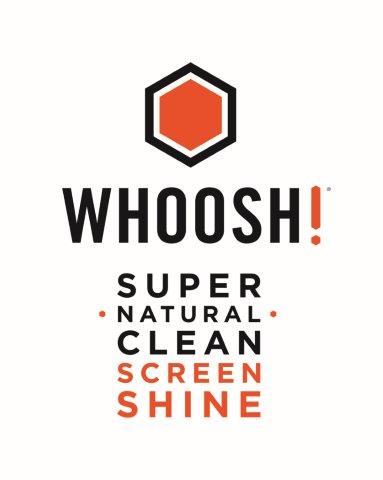 Screen Shine cleans, polishes and protects. Our proprietary ready to use formulation removes dirt, skin oils, smudges and fingerprints. Safe to use for all your digital signage, interactive displays & POS systems. Being an alcohol and ammonia free, haze-free, anti-static & streak free. WHOOSH! Won’t damage or harm your screen. 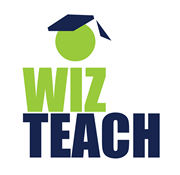 WizTeach has 70+ subject specific tools for drawing, math, literacy, geography & science. It writes & saves directly into Word, Power Point & Excel and works live over all applications including the internet. It is available in 36 languages. X2O Media is a software developer of real-time visual communication solutions that significantly improve enterprise-wide communications and drive business. X2O’s solutions facilitate the creation and delivery of rich media content featuring video and 3D graphics to digital displays, interactive screens, PCs, tablets and smart phones. YCD Multimedia is a leading global provider of advanced digital signage software solutions, serving various industries. Founded in 1999, YCD provides businesses and organizations with a fully-scalable platform to attract and engage customers, while communicating their brand. YCD’s software offers unmatched capabilities, driving high-impact video and mosaic walls in pixel-perfect resolution.